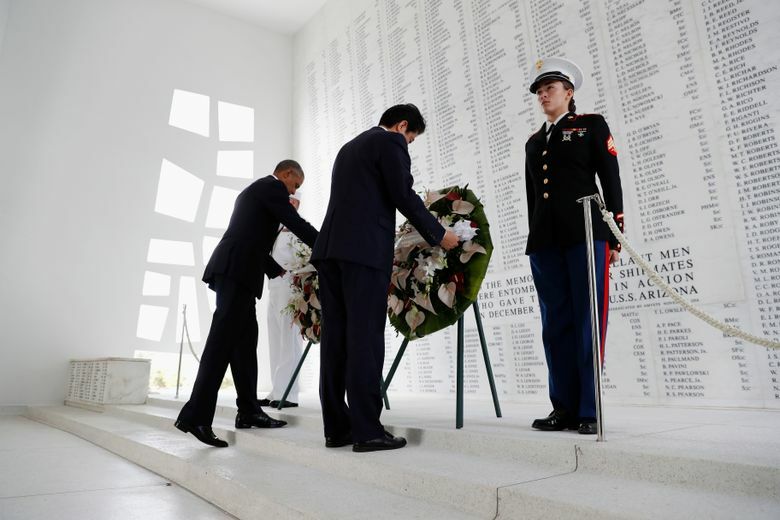 Seventy-five years after the attack on Pearl Harbor, President Barack Obama and Japanese Prime Minister Shinzo Abe made a somber visit to the USS Arizona Memorial. 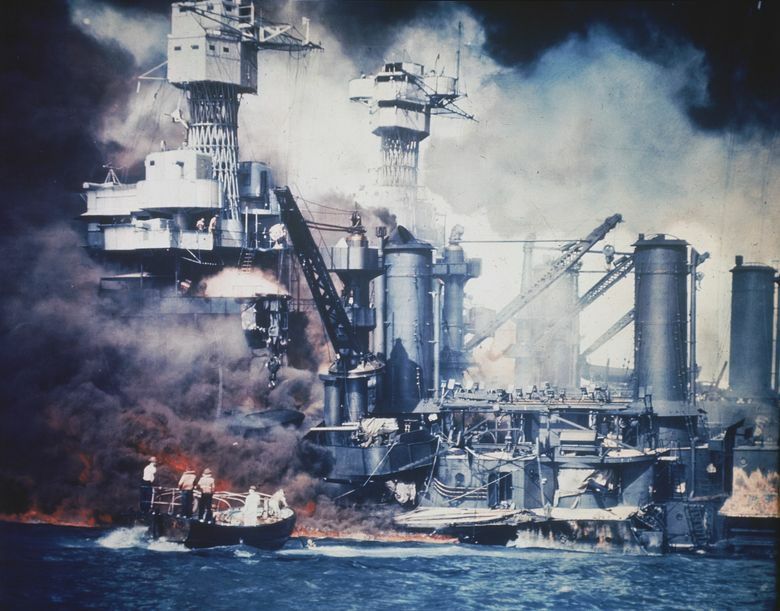 Seventy-five years after Japan’s surprise attack sent America marching into World War II, Abe and President Barack Obama peered down at the rusting wreckage of the USS Arizona, clearly visible in the tranquil, teal water. 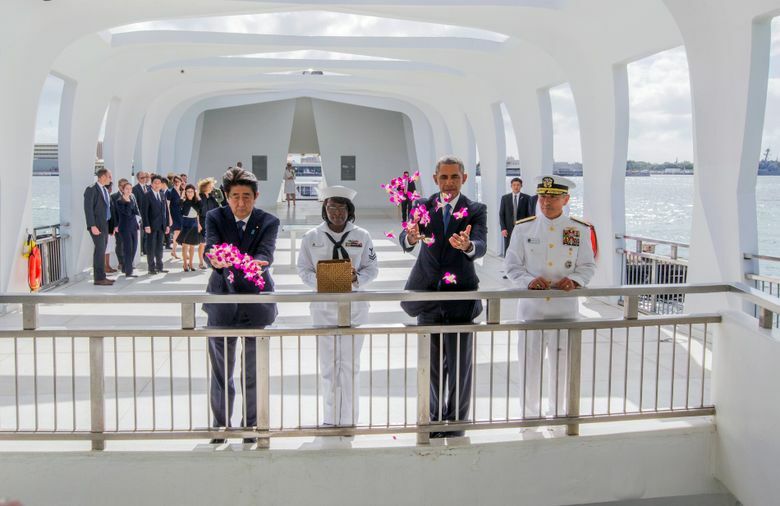 More than 1,000 U.S. war dead remain entombed in the submerged ship, and in a show of respect, Obama and Abe dropped purple petals into the water and stood in silence. 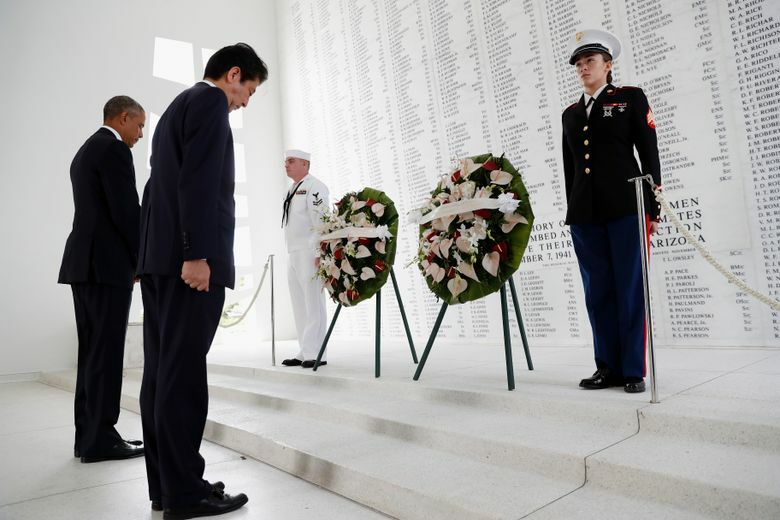 “As the prime minister of Japan, I offer my sincere and everlasting condolences to the souls of those who lost their lives here, as well as to the spirits of all the brave men and women whose lives were taken by a war that commenced in this very place,” Abe said later at nearby Joint Base Pearl Harbor-Hickam. 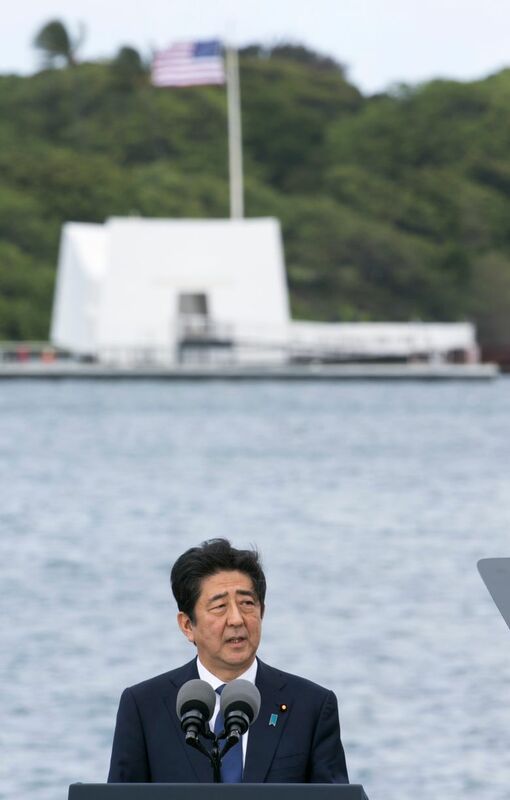 That was the closest Abe would get to an apology for the attack. 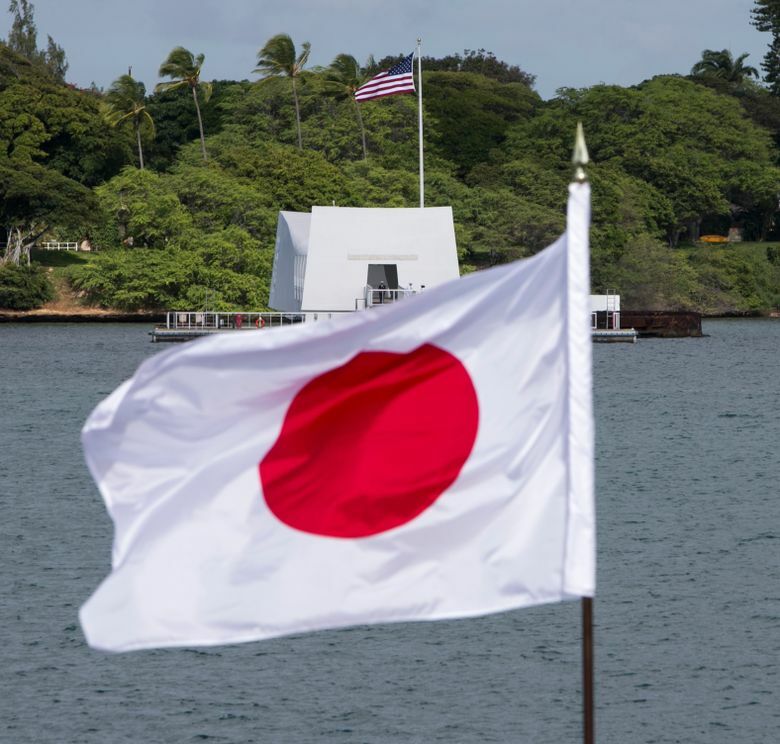 And it was enough for Obama, who also declined to apologize seven months ago when he became America’s first sitting president to visit Hiroshima, where the U.S. dropped an atomic bomb in a bid to end the war. 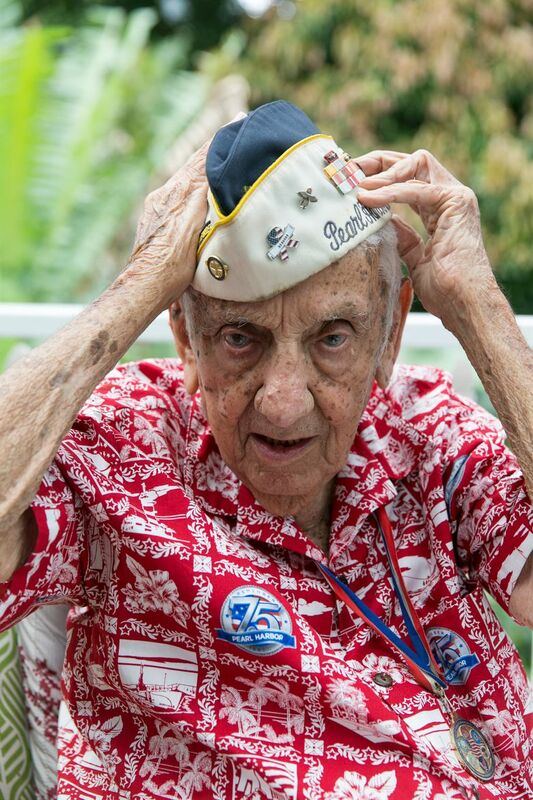 “They were doing what they were supposed to do, and we were doing what we were supposed to do,” Rodrigues said before the visit. 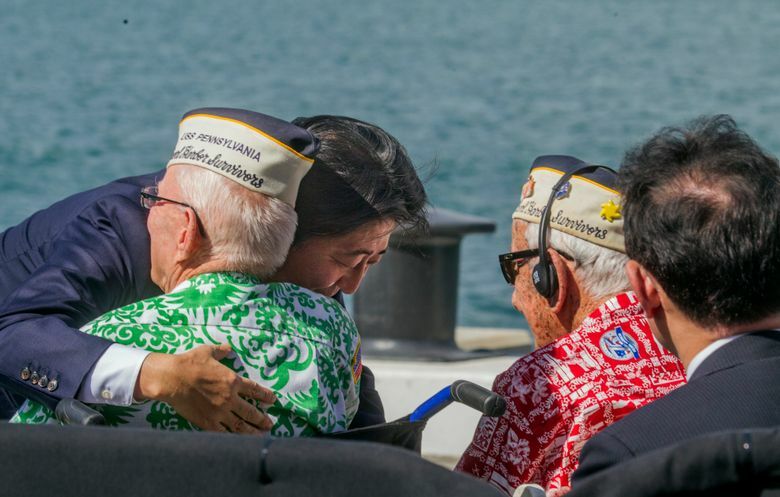 Abe, who became Japan’s first leader to visit Pearl Harbor with a U.S. president, said the visit “brought utter silence to me.” His remarks capped a day that was carefully choreographed by the U.S. and Japan to show a strong and growing alliance between former foes. They started with a formal meeting at another nearby military base, in what the White House said was likely Obama’s last meeting with a foreign leader before leaving office in January. 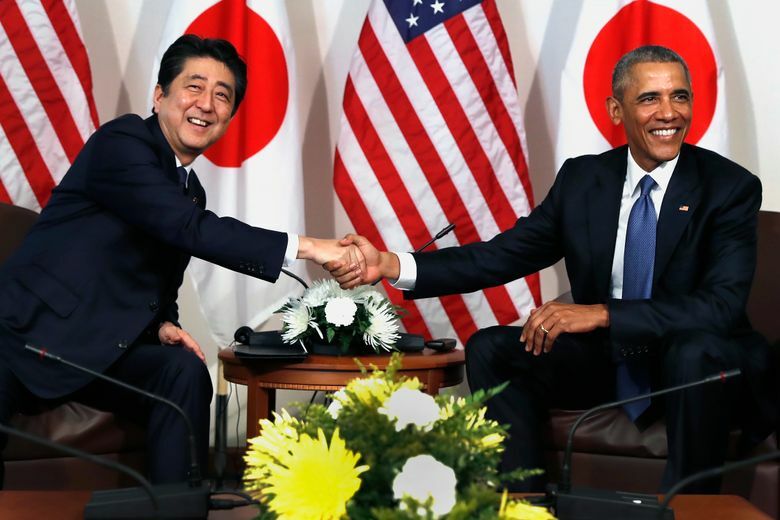 It was a bookend of sorts for the president, who nearly eight years ago invited Abe’s predecessor to be the first leader he hosted at the White House. 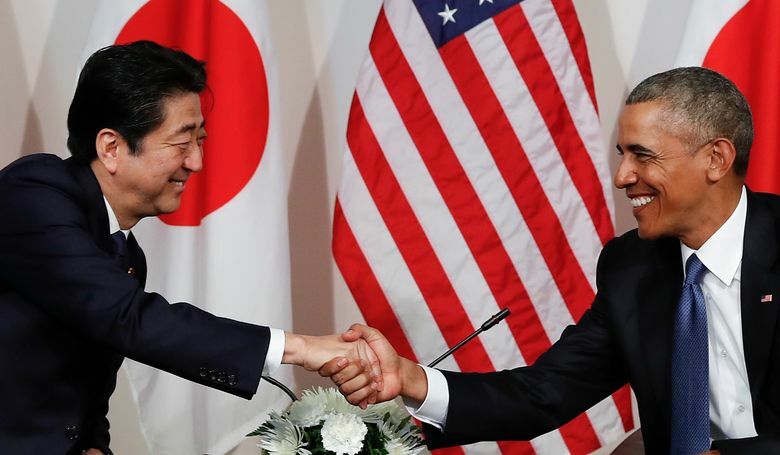 Japanese officials said that in their talks, Abe and Obama agreed Tuesday to closely monitor the movements of China’s first and sole aircraft carrier, which has sailed into the western Pacific for the first time. Taiwan’s Defense Ministry reported Monday that the aircraft carrier and five warships sailed 90 nautical miles south of Taiwan, a self-governing island claimed by China. Beijing called it a routine training exercise. 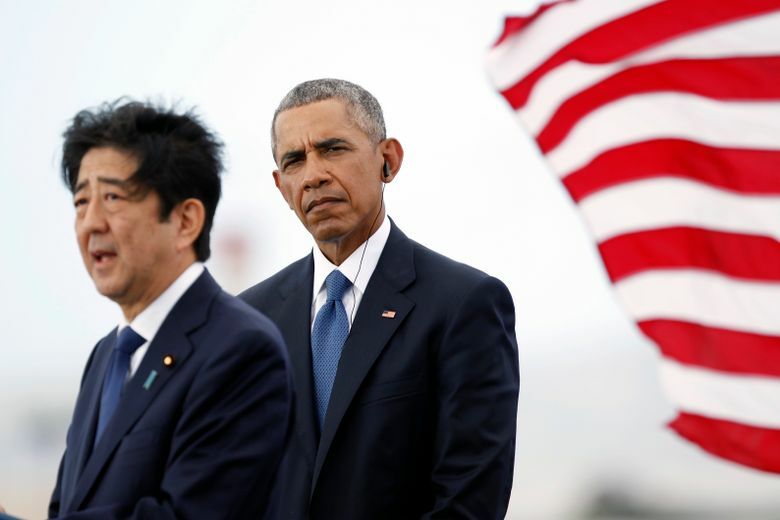 In their last meeting before Obama leaves office next month, the two leaders affirmed that movements by the Chinese carrier Liaoning “warrant close attention from mid-term and long-term perspectives,” the officials said. Late last week, the Liaoning advanced into the western Pacific after passing the so-called “first island chain,” a sea defense line China unilaterally draws running from southern Japan to Taiwan, the Philippines and the southern South China Sea. 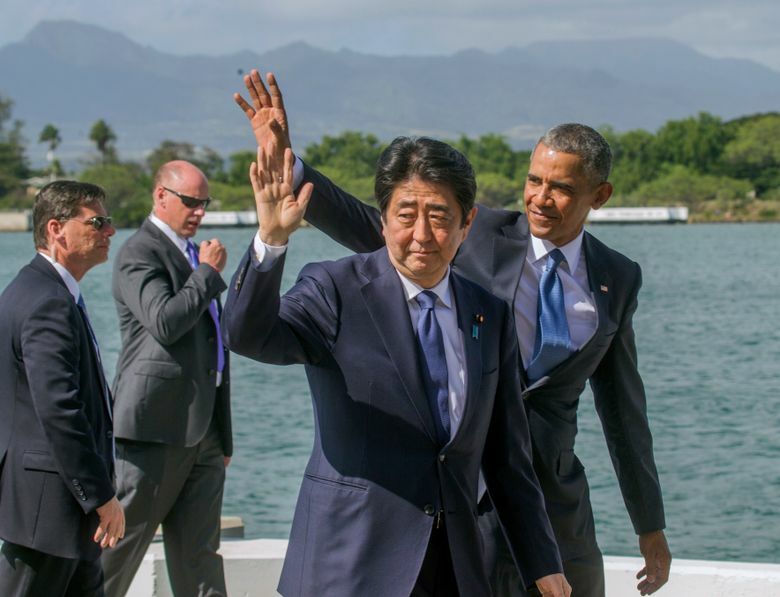 White House officials who accompanied Obama to Hawaii did not comment on the announcement from the Japanese, and in an unusual move, they didn’t release a written description of the meeting. 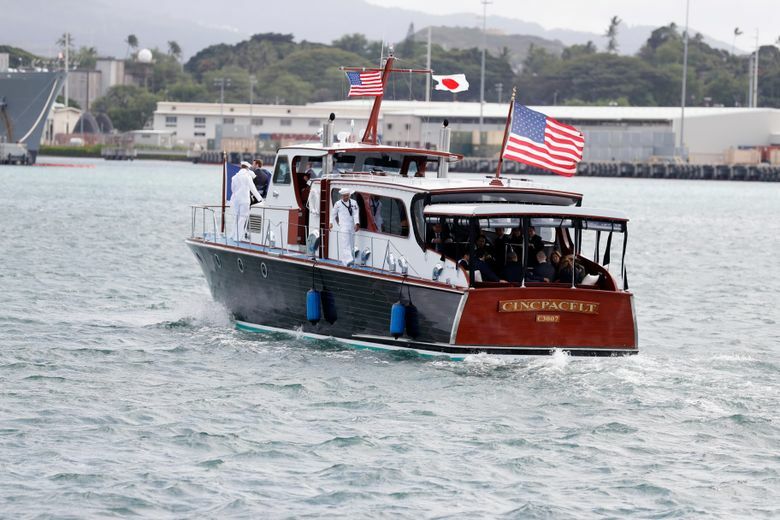 But in Washington Tuesday, State Department spokesman Mark Toner said the U.S. recognizes lawful uses of the sea, and the same rights apply to the U.S., China and other nations. 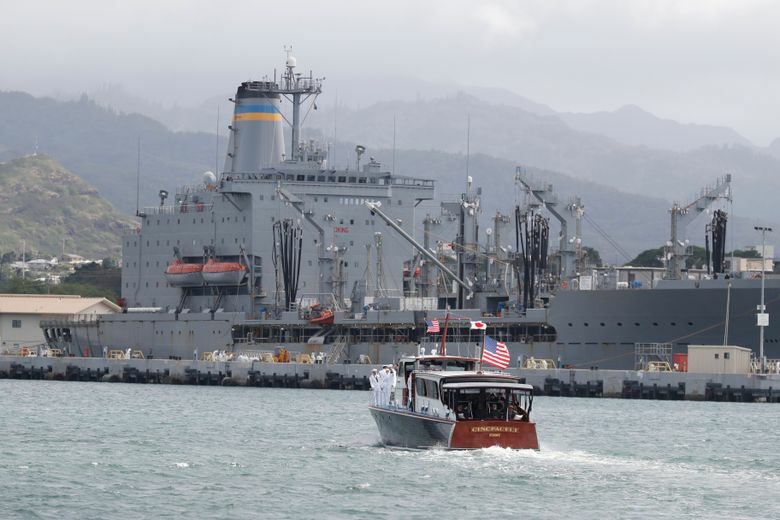 Earlier this month, a Chinese navy vessel seized an U.S. Navy underwater glider that the U.S. said was conducting oceanic research in international waters off the Philippines. The U.S. called the seizure illegal and made a diplomatic protest. China returned the glider five days later. 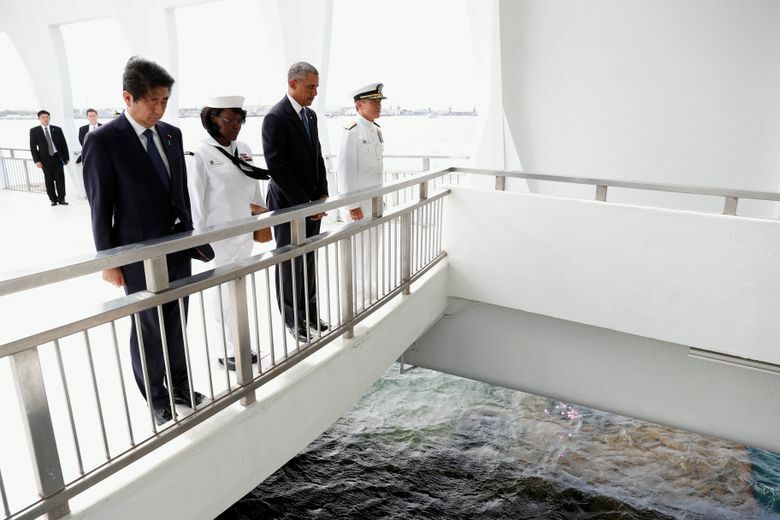 Japanese leaders have visited Pearl Harbor before, but Abe was the first to go to the memorial above the sunken USS Arizona, where a marbled wall lists the names of U.S. troops killed in the Japanese attack. 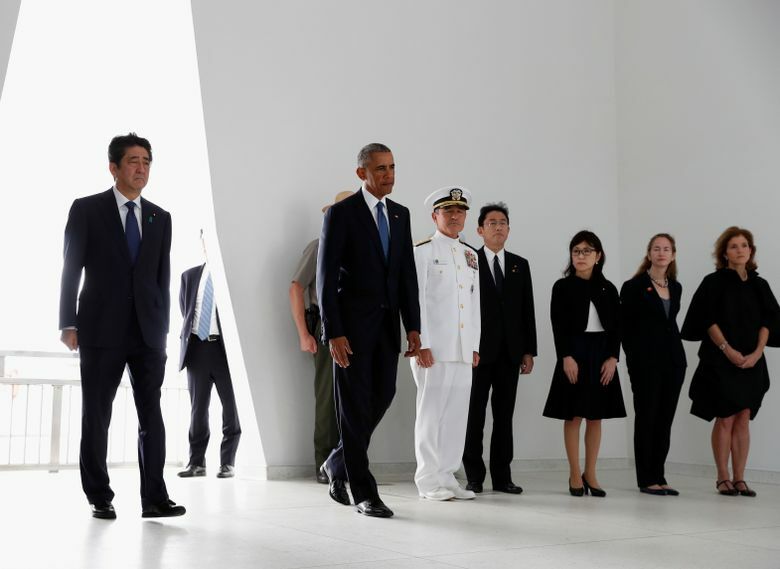 For Abe, it was an act of symbolic reciprocity, coming seven months after Obama and Abe visited Hiroshima together and renewed their calls for a nuclear-free future. 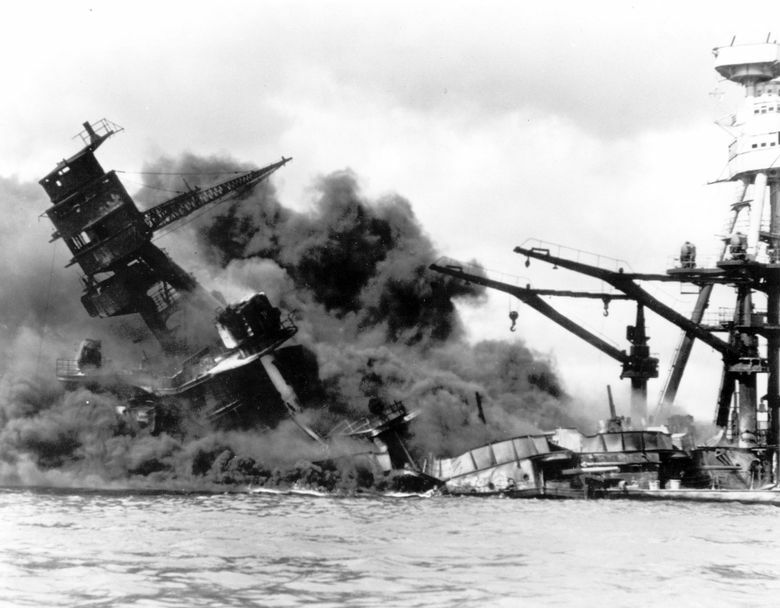 Still, both governments maintain that the visits were separate and not contingent upon one another. 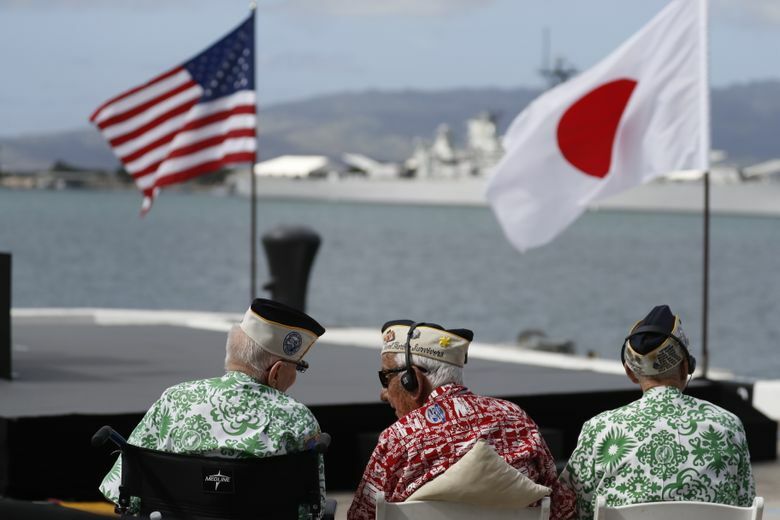 In the years after Pearl Harbor, the U.S. incarcerated roughly 120,000 Japanese-Americans in internment camps before dropping atomic bombs in 1945 that killed some 140,000 people in Hiroshima and 70,000 in Nagasaki. 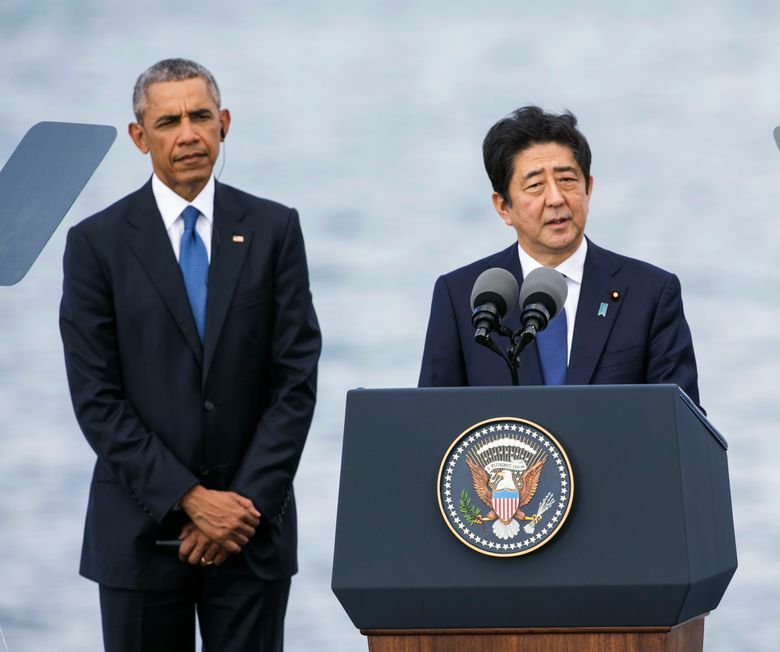 Since the war, the U.S. and Japan have built a powerful alliance that both sides say has grown during Obama’s tenure. 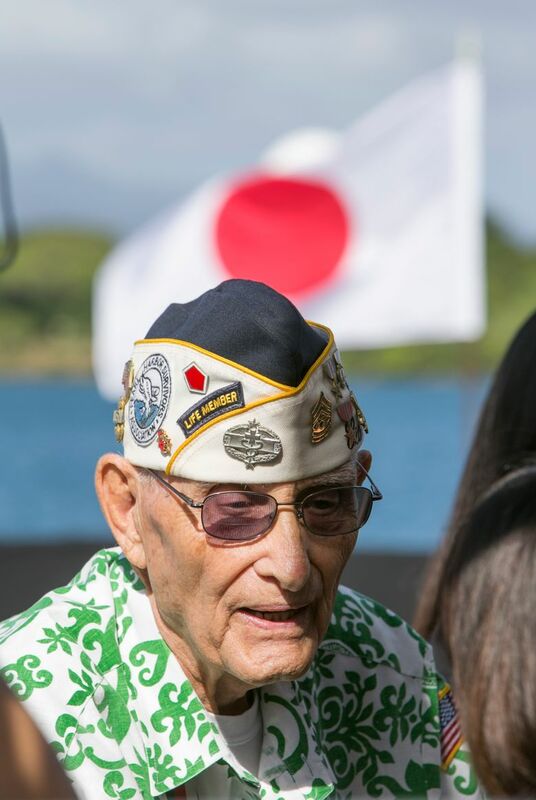 Associated Press writers Brian Skoloff in Kailua, Hawaii, and Mari Yamaguchi in Tokyo contributed to this report.